Because Michal and I are clearly delusional, we scheduled an 8AM pickup for our south-of-London tour not 12 hours after we'd gotten back from Brussels. 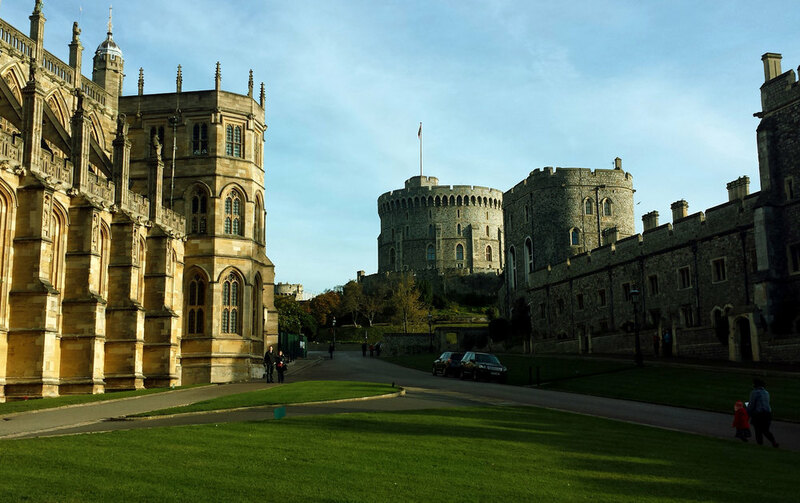 Windsor castle is of course, everything you'd expect of the Queen of England's favorite residence. But honestly, if I were queen, I'd want some goddamn modern lines, plushier sofas and a lot less gold. Do you think Wills and Kate live in Baroque untouchable, priceless chic with bouncing George on their knees? Or can they actually have a comfortable sit on their couch? Is Baby King allowed to wipe his nose on the drapes? But, the chapel was all soaring lines and something about something that looked like intricate lace-patterning to me that Michal knows the actual name of. She's discovered a new superpower, you know. When you're a student of architecture, you tend to enter a church with this look of meticulous awe on your face. Priests are always coming up to her and sharing all of their stories of the lord. Something about that look of awe and every man of the cloth thinks she's just seen God, and he wants to scoop her up into Jesus' embrace before she discovers gravity and hits the ground again. 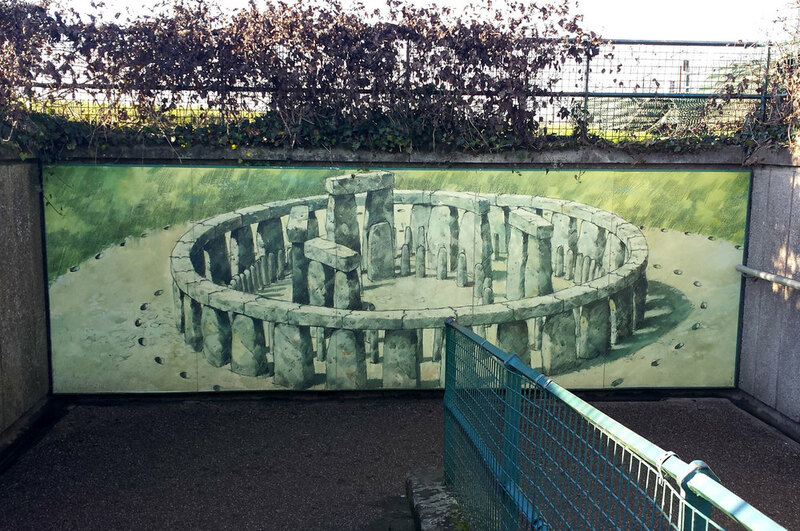 I have only two things to say about Stonehenge: a man in a suit walked away from the circle angrily muttering: "it had to be aliens," and the Great Plains of the U S of A have nothing on the size of the sky over the English countryside. So vast and clear and wide open I just wanted to lie down in a sheep's pasture, look up and see nothing but blue. 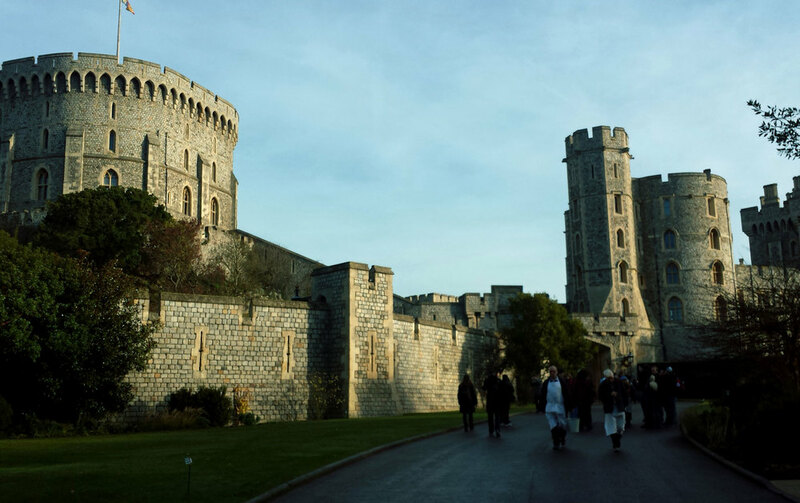 I would have too, but I was wearing my favorite coat and had too many panorama shots of Stonehenge to snap. 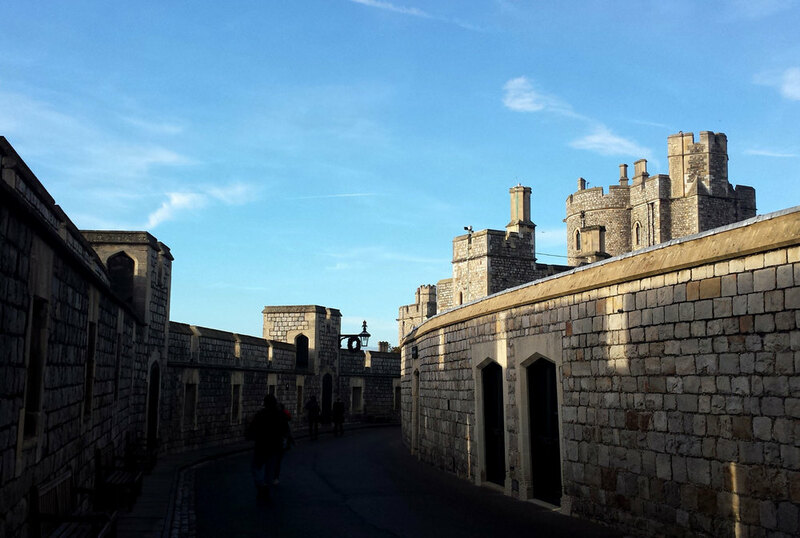 But it is the sky as much as the sheer size of those stones that just fills you with awe. 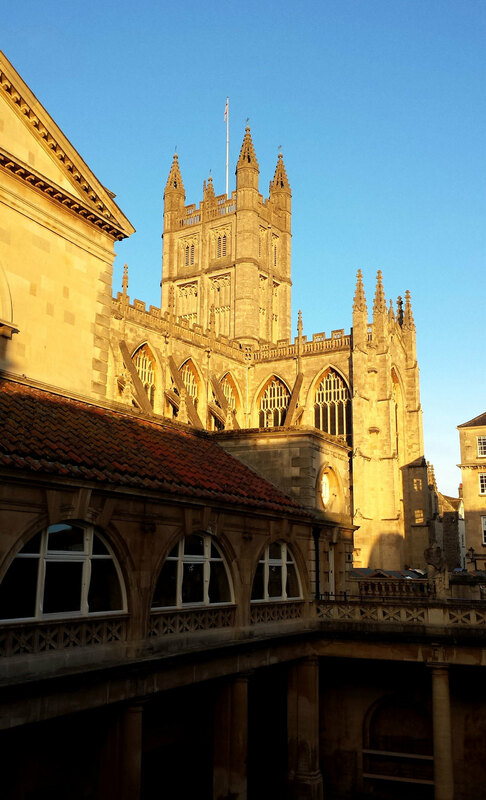 Bath is a marvel of caramel colored stone and history and if I had known better, I might have spent my semester there, even though cities small enough that I can perceive the edges from the center make me feel claustrophobic and trapped. 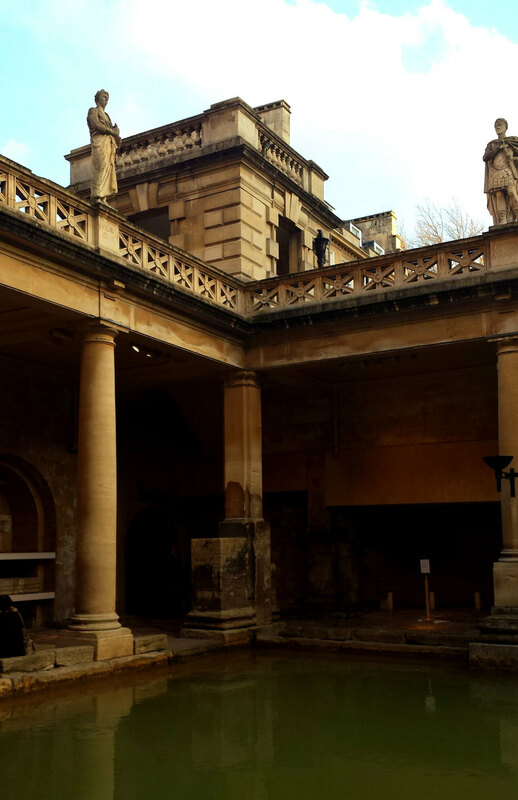 We toured the Roman Bath, wandering through separately. My years helping to design museum exhibits at C&G have ruined me for non-critical tourism. This typeface is wrong. Why is this lit so poorly? Oh, but look at this. I would love to stand here and stare at this innocuous and wholly irrelevant feature for ten minutes because its pretty. Please pass me by on your way to the parts to the exhibit that actually matter. And then, post museum there as another Christmas market to explore. Don't need that or this, really who would ever want that, until: TYPOGRAPHIC GIFTS, screamed one stand and proceeded to pop out of the fringes, assault me a rob me of £20. I went down without much of a fight, really. And those tea towels are ART. We bonded with Bob and Shelia over a divine set of Thanksgiving Turkey sandwiches and a long list of all the foodie tours we just had to do when I come to visit Chicago in March. The whirlwind Pizza Tour right atop the list, of course. Though I have a strong vote to rename it the Chicago Tomato Pie Casserole Tour. The cheese goes underneath the marinara sauce. What are these people thinking? But the jury's still out. I'll update you in March.